Text by and copyright of Authors. Photographs provided by the Brumm Automodelli snc. 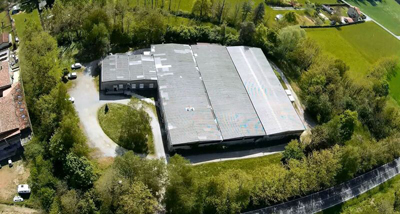 Located in one of the beautiful parts of Italy, near Lake Como, is one of the Italy’s oldest, family-owned manufacturer of 1:43 scale collectable die-cast metal model cars, Brumm Automodelli snc. The name Brumm comes from the term Brumista a Lombard dialect term for a “cabbie” that was adopted by horse-drawn carriage cab drivers from Milan who named the carriages Brumm de Milan. In 1952, after the end of the Second World War, Reno, one of the three sons of Giuseppe and Aide Tattarletti, founded the Fratelli Tattarletti company. Then in 1961, he founded Stampoplastica to produce dies for a well known electric model train manufacturer Rivarossi and the famous manufacturer of scale model cars Dugu Miniautotoys, as well as for a variety of products and equipment produced by other companies. This led to the founding of RIO Models in 1962 which produced its own line of 1:43 scale model cars. In the following ten years, from 1962 to 1972, Reno Tattarletti and his brothers Nilo and Diego operated Rio and Stampoplastica companies. In 1972, Reno left Rio to his brothers (who continued to produce 1:43 scale model cars) and left Stampoplastica to his best employees, Molteni and Bianchi. From 1972 to 1975, Molteni & Bianchi produced tooling for other companies and were primary suppliers to Rio. At the same time they started to develop the coach collection for themselves. During this time, Reno devoted his time to collecting real cars and constructing a museum-like building in which to showcase and store his collection of various cars. Some tooling machines were also moved into the building with the collection. Molteni & Bianchi eventually partnered with Reno Tattarletti and formed the Brumm Automodelli snc. For Reno Tattarletti, and Brumm’s co-founders Virginio Bianchi and Emilio Molteni, the carriages were memories of their youth. Because of this, the Brumm and Historical series, dedicated to Carriages and Horse-drawn Carriages, were the first of Brumm’s series. These were soon followed by Old Fire series. All three initial series were produced in plastic. The subsequent Revival series, which came after the Carriages and Horse-drawn Carriages series was the first produced in metal. Throughout the evolution of Brumm, additional products have been added, and are divided into seven major groups: Newsletters (listing the dates and numbers), News (listing all the news of the years – from 2012 to 2018), Series (grouping of the models), Brand (marques of the car modelled), Category (list of models’ functions), Street (list of model types), and Racing (list of racing types). Each group features historic, vintage,classic, production, sports and racing cars and car related items. 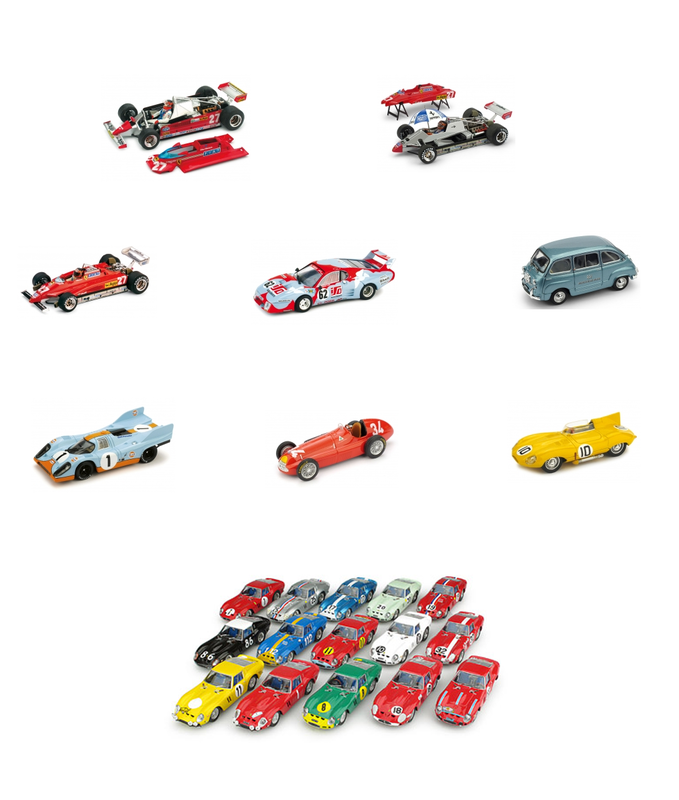 Lupin, Transporters, Carousel, Monza, and Drivers. Eventually the current owner of Brumm, Rio Tattarletti (son of the Brumm founder Reno), and co-owners, Emilio Molteni and Virginio Bianchi, mainly focused on producing 1:43 scale die-cast metal models of Italian racing, sports and street cars. Later on, the model library was expanded to include similar styles of 1:43 scale die-cast metal models from Germany, Britain, France, and other countries. Some of the cars were made in several different liveries. 156 cars, 2 drivers, 2 mechanics, and 2 sets of tires. A new product line, called the “Commercial Series” which included a “Carousel“, was added featuring models of Fiat 500, 600, 600 Multipla, and Fiat 1100 in different promotional liveries. This includes Campari Rum, Coca-Cola, Pasta Buitoni, Macchine Singer, Galbani, and others. The models were also presented in nationalist themed sets such as a Porsche Speedster with Eva Peron markings, a Fiat 500 for the Pope Habemus Papam Francesco, and others. Production for the promotional market is growing and Brumm is becoming more and more involved in that market. Every promotional model made is unique and unrepeatable. The production of a promotional model, including development of the packaging, must be done quickly and meet the buyer’s specifications, timing and budget. band, Pooh.Another to appear is a replica of the legendary “Fiat 600 Multipla” car which appeared in the 1981 video of Chi Fermera la Musica” (“Who will Stop the Music“). Another release from Brumm celebrated Jim Clark 50th Anniversary 1968-2018. This featured the two time Formula One World Champion and his Lotus 25 race car. And let’s not forget the 50th Anniversary of Ed. Lupin, the famous Japanese gentleman thief. Brumm recently introduced models of the “Little Boy” and “Fat Man” atomic bombs dropped by U.S. on Hiroshima and Nagasaki, respectively, at the end of the Second World War. Each bomb was presented in a display inscribed with the date, time of detonation, and location. Although well accepted by collectors, Brumm was criticised for making the models of the atomic bombs, even though these are part of world history and the atomic age. 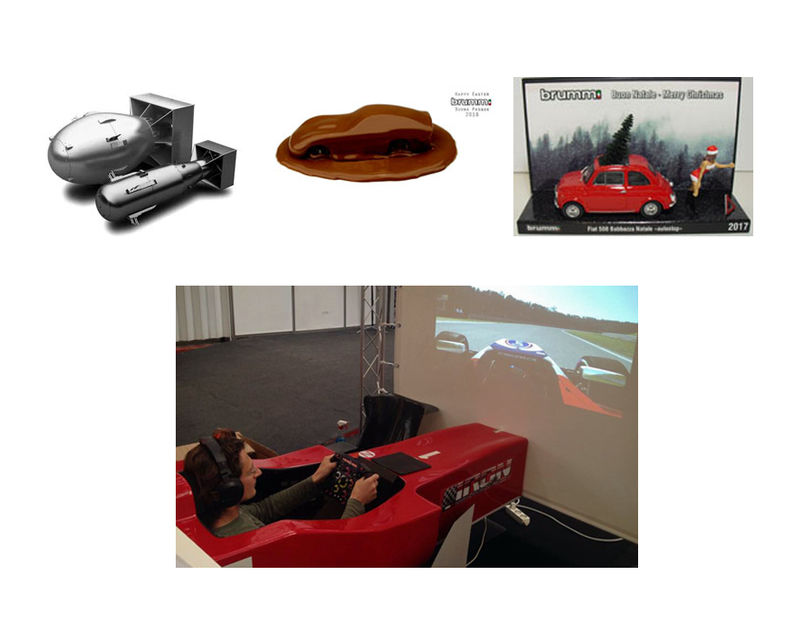 Occasionally, Brumm produce items unrelated to model cars like the Happy Easter 2016 Greeting Card with a picture of Chocolate model car, a true, full scale driving simulator, for visitors of the Brumm stand at Hobby Model Expo 2014, and the 2017 Fiat 500 Babbazza Merry Christmas diorama. The “Fairs and Events Series” highlights Brumm’s participation in the Hobby Model Expo in Milano, the International Nuremberg Toy Fair in Nuremberg, the Model Expo in Verona, and the 35th and 45th anniversary of Brumm itself. In previous years Toy Fair models were also sold to customers in shops as well as used as promotional items at the Fairs themselves. Nuremberg Toy Fair. 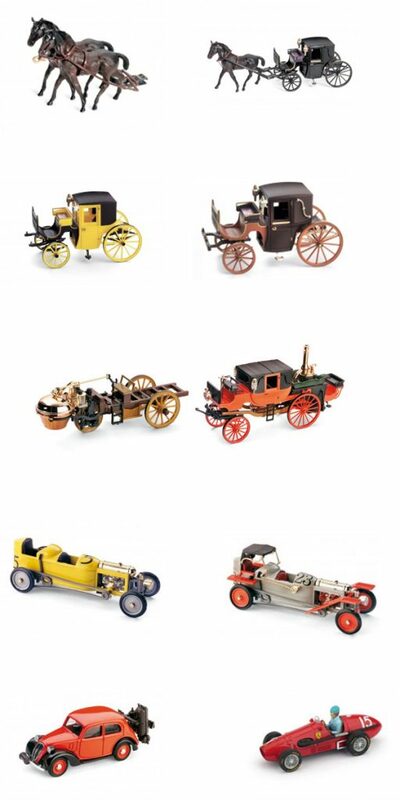 The “Fairs and Events“ Series highlights many of the other Brumm activities besides their model cars. Continuing the long family tradition, 100% of everything in Brumm’s factory is made in Italy, thus the promotion line “Brumm Automodelli -100% made in Italy” / “Brumm Automodelli – Prodotto Italiano Al 100%“. This makes the Brumm models different from all other Italian die-cast model car companies whose products are not entirely made in Italy. Brumm’s lines differ from other companies through their long life, the fact they are made entirely in Italy and the wide range of models offered. The company remains a private business and is still producing models today when many competitors have closed or have been swallowed up by international companies producing elsewhere. During the last two years, the Brumm Factory has organised at least five tours each year dedicated to collectors and car enthusiasts. This year the owners of Ferrari model cars were treated to a special event during which they had access to real Ferrari cars and their owners. Brumm’s die-cast, metal model cars and accessories are made in 1:43 scale using state-of-the-art computerised equipment to digitise photographs and measure actual cars in order to produce the tooling and steel dies needed for plastic components and metal casting. The models and accessories are hand spray-painted, oven dried, tampo printed,and decaled (numbering, striping, national colours as needed for a driver or race). They are detailed with photo-etched parts. 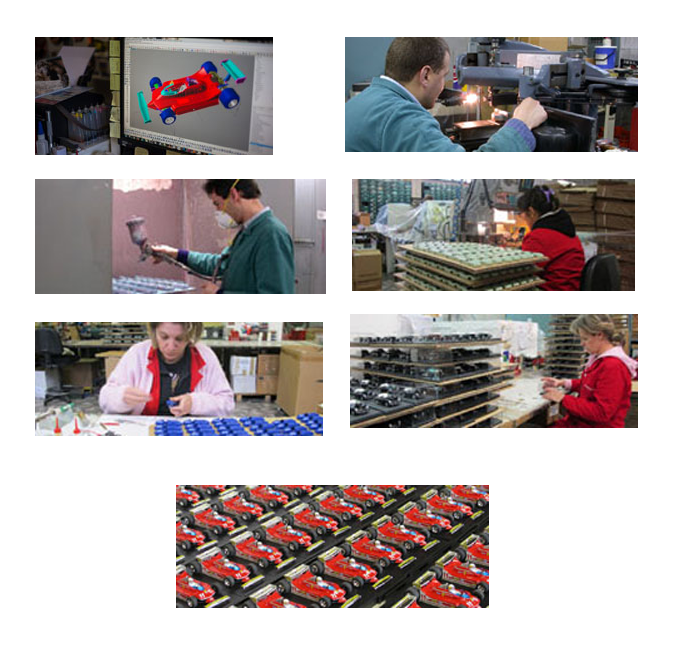 After assembly, each model is inspected (road tested) before being packaged and sent to dealers around the world. The historically accurate models are available at an affordable price and are very popular with collectors world-wide. Note Brumm models are not toys and are recommended for ages 14 and up. production, and 102 available to pre-order). Google, Pinterest, Instagram as well. Collectors are highly recommended Danilo Castellarian’s “Brumm Librumm 1972/2002 a story of models“. This is very well written and illustrated and consists of 64 pages of the Brumm Modelli Company evolution and 180 pictures of Brumm history, production facilities, catalogues and products. The book is available in English,Italian, French and German. Also available are Brumm Newsletter #078 / November News 2018 and the Qui brumm 2018 News Catalogue featuring all news, updates and promotional materials of the current year. The Qui brumm 2018 (updated catalogue with all the 2018 news) is available in hard copy or digital format. 2019 PREVIEW: Ferrari 312 T4 “snowplow”. 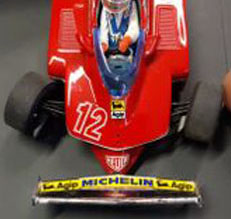 Brumm has chosen the Ferrari 313 T4 Grand Prix car to introduce the first Brumm 1:43 scale model with steering front wheels. Currently, this is the only model car on the 1:43 scale die-cast model market with steerable front wheels. About 10 years ago, “Quartzo”, a brand name used by Sun Star company, made the 1:43 scale model of Renault F1 R330B N 15 with steerable front wheels.